When Jorge Balderas asked us to help support his upcoming bicycle trip from Chicago to Mexico to raise money for the fight against diabetes we did not hesitate. An epic bike trip to raise money for an important cause undertaken by a great guy (and client of ours) definitely gets our juices flowing. 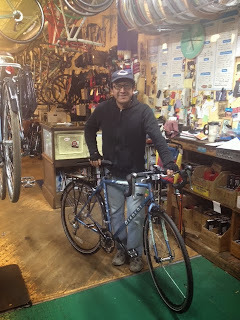 Jorge leaves on Monday on his self-supported trip which he hopes with raise money for the Chicago Diabetes Project. The journey will take him from his home in Evanston to his home town near the city of Guanajuato, Mexico. He hopes to reach his destination before the start of the new year. On his way he will visit his sister in Denver who is stricken with a diabetes related illness. From there he will pedal on to Tuscon, Arizona then cross the border into Mexico. Jorge has set up a Facebook page for the trip he is calling the Tour de Diabetes Cure. Why is Jorge doing this? "I want to be happy and try to help others," he said. Any questions? A private party will be held on Saturday evening at the Evanston Cimena for Jorge's friends and supporters to see him off. Preparations are underway to commemorate the life a 92 year old Oak Park bicyclist who was killed by a driver on Thursday. 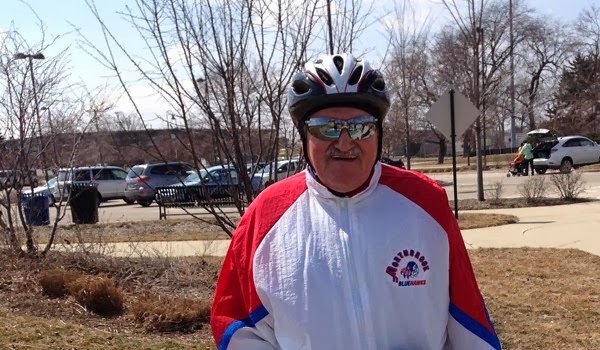 Suleyman Cetin, an avid cyclist despite his age, was hit by a Chevy Impala at the intersection of Madison Street and Scoville Avenue at approximately 8 p.m. on October 24th, according to OakPark.com. The driver, 46 year old Rolando Ivory, was ticketed for failure to reduce speed to avoid an accident, according to The Chicago Tribune. 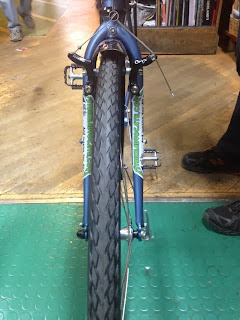 Members of the cycling community are planning to install a ghost bike near the crash scene. Mr. Cetin was reportedly riding northbound on Scoville, crossing Madison, when he was struck, according to The Tribune, citing a Village of Oak Park press release. He was pronounced dead about 2 hours later at Loyola University Medical Center in Maywood, according to OakPark.com. 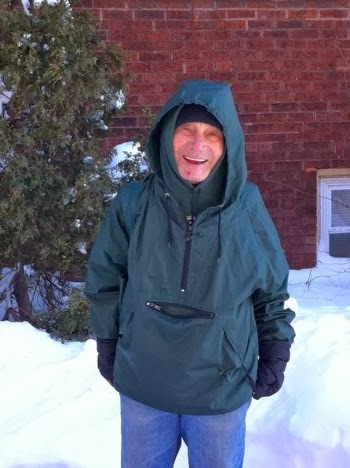 Originally from Turkey, Mr. Cetin was well-known around Oak Park and continued to live an active life up to the moment of his death. Those that knew him say that he was often seen around town on his bike or working odd jobs. Too often motorists only seem to notice the bike, the helmet, the message bag, etc. They do not see the person on the bike. Perhaps this selective recognition is what gives the driver - in his or her mind - license to recklessly endanger the lives of people on bikes. Despite the increasing betterment of Chicago's cycling infrastructure, it dawns on me that virtually everyday on my ride into the office I have a close call with a driver. I do not think about that often. If I did, I would probably take the "EL" to work. I do not know how to change the minds of drivers. I am going to keep suing them when their conduct causes actual harm. But my preference is that there be no more crashes. (Do not worry about me. I would find something else to do.) 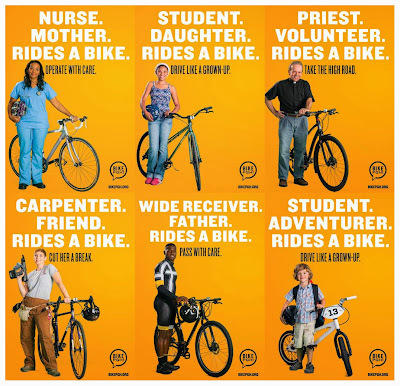 I came across a new ad campaign in Pittsburgh this morning, highlighted over on the Urban Velo website. I would love to see billboards all around Chicago like this. That would be a nice start. 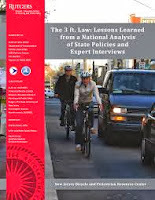 The recent decision in Berz v. The City of Evanston, 2013 IL App (1st) 123763, means that streets and roads are not the only areas where municipalities are free of responsibility for upkeep of areas where cyclists typically ride. The case arose from an incident occurring in September, 2010 in which a bicyclist was injured when he struck a pothole in an Evanston alley running behind 1549 to 1555 Sherman Avenue, between Grove Street and Davis Street. The pothole was 40 inches wide by 18 inches long by four to five inches deep. 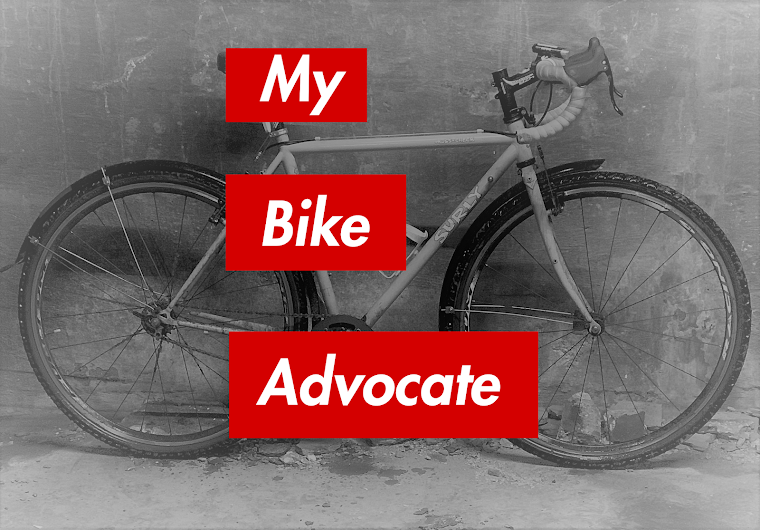 The appellate court upheld the circuit court's dismissal of the cyclist's lawsuit against the City for failing to properly maintain the area because the alley was not specifically designated for bike traffic. The Court noted that while bicyclists are permitted users of Evanston alleyways, the alleys are not intended for such users. In the Chicago area, it is common for garages to open onto alleys. It is also common, in the Chicago area as elsewhere, for people to store their bicycles, as well as their vehicles, in their garages. The obvious intended purpose of an alley that has garages opening onto it is to provide access to the things that people commonly store in those garages, such as bicycles. Despite the fact that the paving of roads was initiated long ago thanks to bicyclists, Illinois remains an outlier when it comes to protecting cyclists from roads that are unsafe. 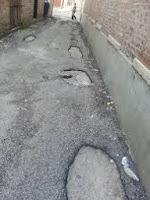 I am aware of no other state that has declared that paved roads -- and now alleys -- are not intended for use by bicyclists. It is long past time for the Illinois legislature to step in and correct this judicial error.